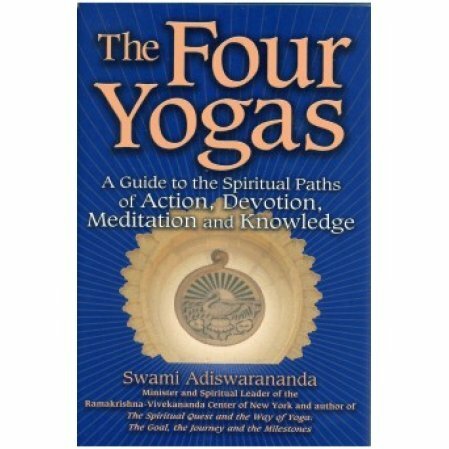 This is a guide to the spiritual paths of action, devotion, meditation, and knowledge. Explore each of the paths of yoga to see which way suits you best. We encourage aspirants to practice to a degree all the paths. Keep in mind that some practices will by temperament be more appealing than others. All the paths point to a common goal – self-knowledge. Traditionally, Karma yoga is for the active person. Bhakti yoga is for more emotional kind of person. Raja yoga is the path of meditation for the contemplative. Jnana yoga is the path to knowledge for the person who likes the intellectual, the rational. Few people can solely practice this path. A paperback edition is now available.